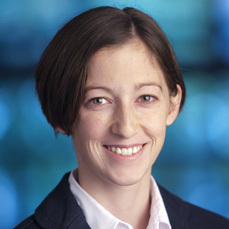 Danielle S. Bassett is the Skirkanich Assistant Professor of Innovation in the Department of Bioengineering at the University of Pennsylvania. Her research group studies biological, physical, and social systems by using and developing tools from network science and complex systems theory, looking at how the brain is organized and how connectivity patterns change over time.Bassett received her Ph.D. in Physics (2009) and Certificate of Postgraduate Study (2005) from the University of Cambridge, and B.S. (2004) from Schreyer Honors College, Pennsylvania State University. She is an ONR Young Investigator (2015), Alfred P. Sloan Fellow (2014), and youngest recipient of the 2014 MacArthur Award Genius Grant. Her research has appeared in journals such as the Proceedings of the National Academy of Sciences (PNAS), Neuron, Physical Review E, Trends in Cognitive Sciences, Chaos, and more.